Plans are in process for the 5th Annual MFSA Peace and Justice Luncheon at Annual Conference (June 11-14) in Corpus Christi. We are very pleased to have as our speaker Bishop Minerva Carcaño, who is currently serving as Bishop to the Los Angeles Area, the California-Pacific Conference. 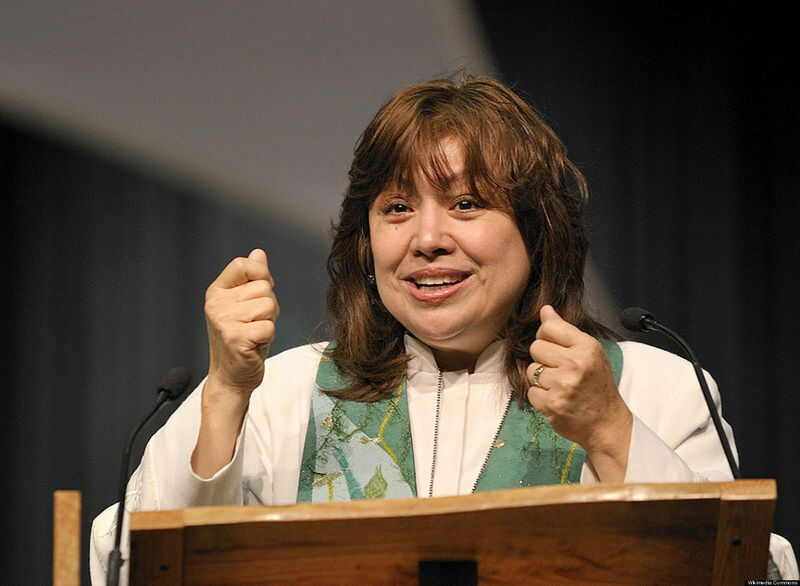 Bishop Carcaño became the first Hispanic woman to be elected to the episcopacy of The United Methodist Church in 2004. She is a fierce advocate for human rights and social justice. Look for more about our presence at Annual Conference, or better yet, help us plan this important witness. Contact Anne Mund ennadnum@hotmail.com for more information.